#611 regular meeting was held on January 9th at Hatoba Kaikan. 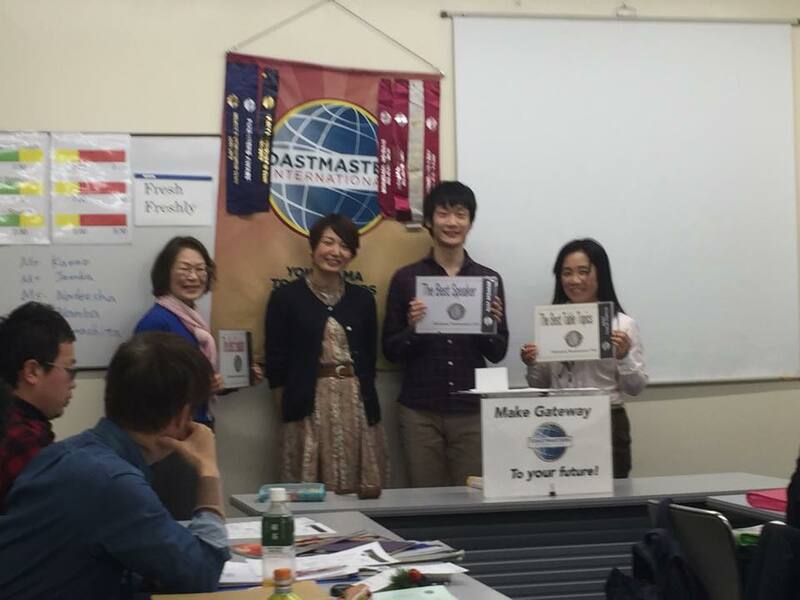 It was the first meeting of this year, and the theme of the meeting was “How was your winter holidays?”. All role takers spoke about their holidays before introducing their roles, and it was fun to hear. Our president TM N told us about New year’s resolution,and swore to make our club more enjoyable and make new strategy to improve ourselves more! We had a induction ceremony of TM K, it was grateful to start new year! Both of presenters of Tips session and Joke session took the roles for the first time, and they succeeded their jobs! The Theme of Table Topic Session was “New year”. 5 speakers spoke about the new year’s resolution, new year’s greeting card and so on. At prepared speech session, we had 3 speakers, and the contents were Dementia, Winter holiday, and Serendipity. Our new member TM K who joined our club in this meeting delivered his ice breaker speech! We’re proud of his courage! All evaluators and General Evaluator gave us ideas to improve our speech and meeting more! Anyway, we enjoyed our first meeting! Thank you all for a great meeting!